Matterlink Multi X - The Multi X can learn and control both IR and RF devices. Its small size enables it to be easily hidden in the room so that control appears invisible. The interior design of the space remains harmonious and without compromise. FREE driver for Australian URC dealers. FREE VSSL A.6 Module - The VSSL A.6 matrixed multichannel amplifier allows you to switch 8 x stereo sources to 6 amplified zones. It has 6 x streaming sources built in where you can send independant streams of Google Cast, Spotify Connect or Apple Airplay. It also allows you to connect two of these zones via the bus outputs to a 3rd party receiver or amplifier to pass through audio. URC Toolkit - The URC Toolkit is actually made up of several modules. These include a Custom Event module to make your one way driver into two way capable ones, A repeating event timer, a retriggerable one shot module and a wake on lan module. 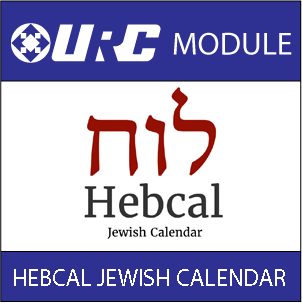 Hebcal Jewish Holidays - This module helps by automating detection of Jewish holidays and your standard Shabbat (observed from a few minutes before sunset on Friday evening until the appearance of three stars in the sky on Saturday night). By firing these events it assists with notification of Candle lighting and Havdalah along with the automation of electronic devices during this period. irUSB Android TV- This package includes four separate modules for all the variations of Android TV. 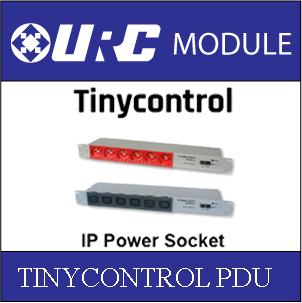 These modules provide IP control over the device including navigation and transport controls. It is also possible to directly launch apps using a Two Way command. The package also includes graphics you can use directly in your project. Sky+ HD / Sky Q - This module provides IP control over the Sky+ HD and Sky Q set top boxes. This IP module eliminates the need to attach infra red emitters to the set top box and is compatible with the Sky+ HD, Sky Q and Sky Q mini boxes. On top of IP control the module also provides a channel list which shows the current and next playing information as well as the channel logo. Internet Weather - The OpenWeatherMap service provides free (60 calls per minute) weather data and forecast. OpenWeatherMap collects data from weather stations and forecasts of meteorological services and research laboratories, combining long-term and short-term forecasts with real-time data from weather stations, processing them and immediately updates current weather and forecasts. IFTTT Module - The swiss army knife of drivers adds two way IFTTT communications to URC. Adds Amazon Echo, Push Notifications, SMS's, Phone calls, Tesla, BMW, other connected cars, twitter, emails, facial recognition, geofencing/location and so much more to URC. IP Trigger Module - The IP Trigger module is designed to create a device event based on an arbitrary http or TCP connection. This allows you to generate automation events from devices that provides these types of triggers, like the Atlona HDMI switching devices. Oppo Bluray (All Models) - This module provides advanced two way control/feedback over all Oppo bluray players including the new UDP-203 This two way feedback provides the consumer with an emersive experience where feedback from the player automates lighting, projection modes, automated projector/tv/receiver power and more. Notification Suite - The notification suite consists of two modules, email and notifications. These modules can send messages based on any event URC can generate. The also allow for image attachments to be included from local devices. This is especially useful for sending camera images. There is also support for cameras that require a username and password.